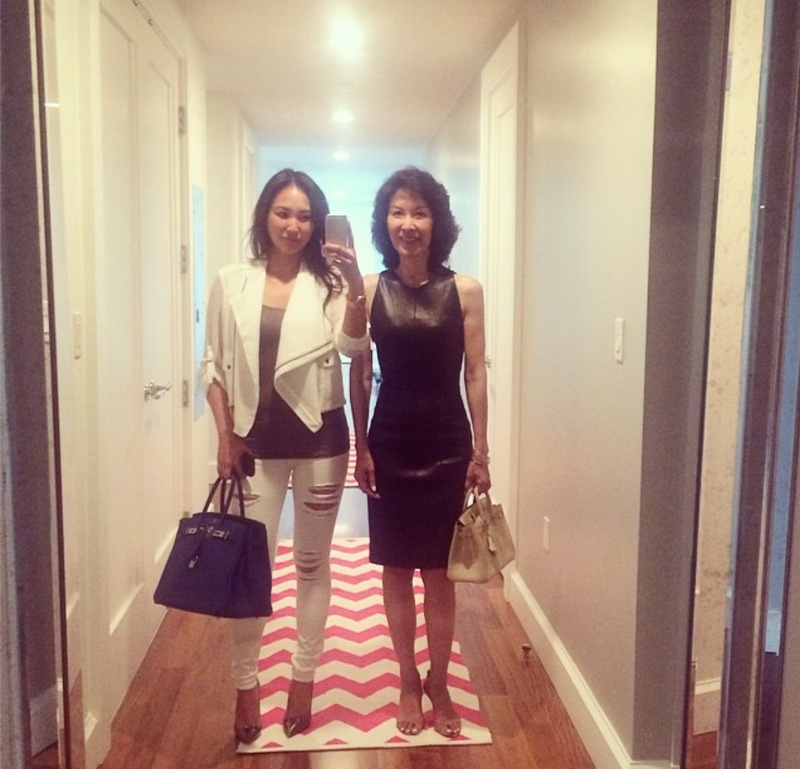 Dorothy Wang and mummy Wang are often filmed together obviously enjoying a close mother daughter relationship. Dorothy is looking fit in ripped white denim. Dorothy’s mum Vivine Wang is pictured here wearing clingy leather little black dress. Looks like mum has also upped her glamour stakes, maybe due to so many cameras being around. Both Dorothy and Vivine are carrying Birkin handbags of course! Just how cute is this selfie? See Dorothy and the other rich kids on E! Entertainment on Sunday nights. This entry was posted in Dorothy Wang, Uncategorized and tagged Dorothy Wang, Rich Kids of Beverly Hills, RKOBH, Vivine Wang on August 27, 2014 by wealthandglamour. Gorgeous Dorothy Wang looks like a supermodel in this classy photo shoot. Dorothy reminds us of a young Kimora Lee Simmons, around the time she was modelling for Chanel. Fabuluxe for Dorothy, and Fabulosity for Kimora they are truly both fabulous! Catch Dorothy and friends on Rich Kids Of Beverly Hills on E! Entertainment season 2 on Sunday nights. This entry was posted in Dorothy Wang and tagged Dorothy Wang, Fabulosity, Fabuluxe, Kimora Lee Simmons, Rich Kids of Beverly Hills, RK, RKOBH, Season 2 on August 16, 2014 by wealthandglamour. Even #dorothywang likes to slum it occasionally ! Rich Kids Of a Beverly Hills, Dorothy Wang has posted a very strange photo shoot. Princess Dorothy is done up like white trash! No way, we hear you say this cannot be true. What’s going on we like our princesses to look like princesses. Maybe Dorothy wanted to see what she would look like in another life, a life without daddy’s money where she would live in a trailer. We think she is a bit confused with the shoes though, not very practical for trailer park living! Hopefully this is a short glitch in the life of Dorothy Wang, and she will return to her usual fabulous self. This entry was posted in Dorothy Wang and tagged Dorothy Wang, Rich Kids of Beverly Hills, RKOBH on August 6, 2014 by wealthandglamour. Is @dorothywang back with Cooper Mount? Dorothy just keeps on posting cryptic photos on Instagram regarding her relationship with Cooper Mount. In series 1 of The Rich Kids Of Beverly Hills, Dorothy and Cooper were very much an item. Then a few weeks ago Dorothy posted a picture of her new Hermes Bag with the caption “breakup bag”. Today she is holidaying in the South of France and has posted a picture of herself and Cooper. The strange thing about this photo is Cooper is blurred, almost like he has been superimposed in the photo, or faded out. Up till today she has just posted pictures of herself, or her family, inferring that she is just on a family holiday. What does this all mean? We are confused, we will just have to wait until Rich Kids Of Beverly Hills, series 2 comes back, next week for answers. 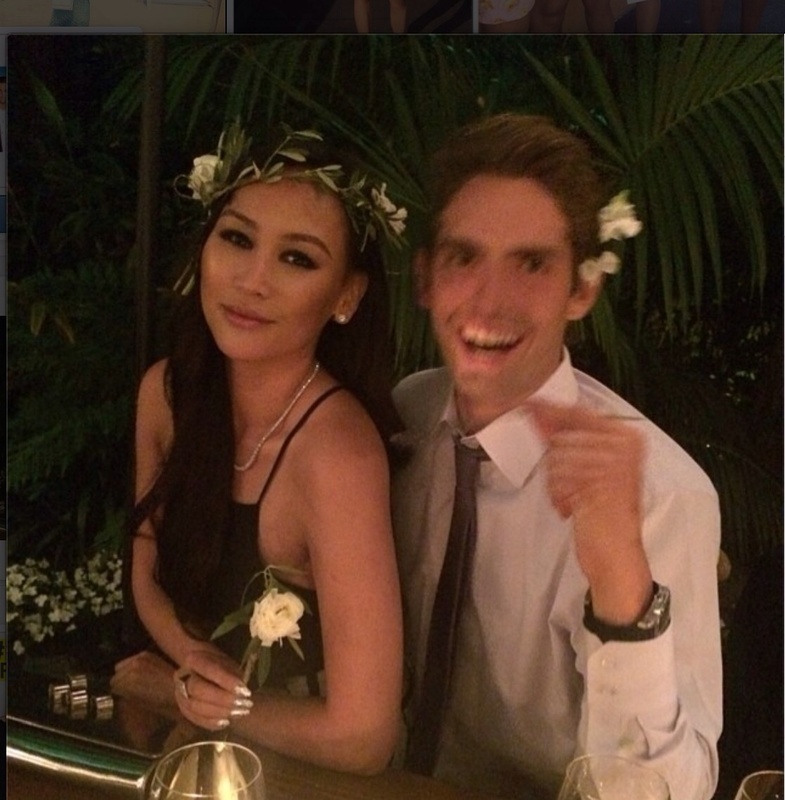 This entry was posted in Dorothy Wang and tagged Cooper Mount, Dorothy Wang, Dorothy Wang boyfriend on July 29, 2014 by wealthandglamour.